JLR is spending 1.4 billion euros to build Land Rovers in Slovakia starting in 2018. Landing a new greenfield auto assembly plant project is a rare prize these days in Europe's mature auto manufacturing landscape. That makes Slovakia's recent success all the more notable. The sparsely populated eastern European country last year recruited luxury maker Jaguar Land Rover's 1.4 billion euro ($1.6 billion) project. Now under construction in the Nitra region of Slovakia, about 100 km east of the capital Bratislava, the plant will start producing the Land Rover Discovery crossover in late 2018, with a capacity of 150,000 vehicles a year once three shifts of workers are in place. How Slovakia won the project is a case study in addressing multiple concerns of a prospective investor. For JLR, Slovakia provided more than a field of ground – it addressed worker training issues, social services, supply chain provisions and even political liabilities. “It took five months of very intense work to win the project, involving dozens and dozens of consultants meeting into the wee hours,” recounts Robert Simoncic, CEO of Slovakia's investment and trade agency SARIO. In the end, JLR was able to move quickly to create both an auto plant and a supplier park, with employee questions resolved for both. Slovakia's negotiations with JLR began in January 2015 as the automaker scoured the world for a location. 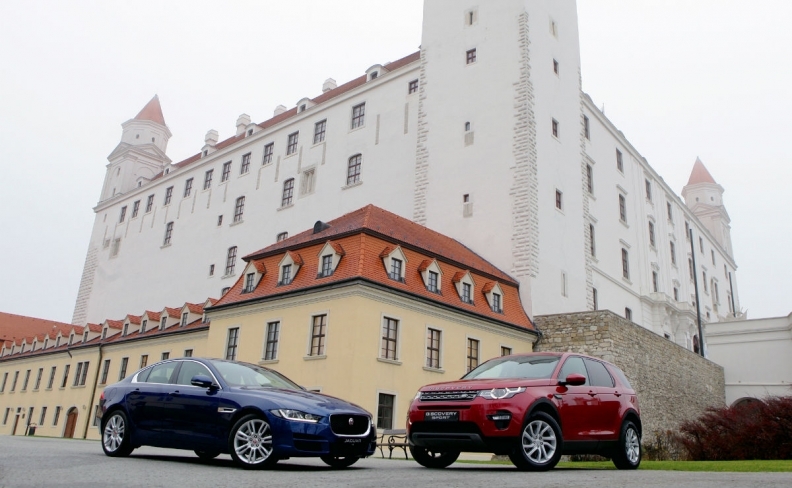 The challenge for Slovakia -- and for all other interested suitors -- was that JLR did not need a particular location to support a local market entry, explains Alexander Wortberg, JLR's operations director for the Nitra plant. Such auto plant site searches are more common, as an automaker uses a new factory to gain a local competitive advantage -- a strategy that has been behind many North American plants in recent years. For JLR, the site search was simple, Wortberg says: The company needed more production capacity. JLR's three plants in the UK were out of room, thanks to strong global sales of its Land Rover/Range Rover crossovers and Jaguar sporty sedans, Wortberg says. That meant JLR was free to go where it wanted, and Slovakia would compete with other European countries, such as Poland and Hungary, as well as potential sites in the United States and Mexico. The expansion of auto production into eastern Europe has been one of the defining trends for the European industry in the past 20 years. Automakers and suppliers were first attracted by lower costs and more flexible workforces. And although wages are now rising in countries such as the Czech Republic, Hungary and Slovakia, they still remain lower than in many Western European locations -- even a third less expensive than JLR's UK home market, according to Ian Fletcher, principal analyst for IHS Markit. Over the past two decades, following its 1993 separation from neighboring Czech Republic, Slovakia has become a formidable auto producer. Last year the country made just under 1 million cars at three assembly plants, making it the sixth biggest vehicle producer in the European Union. Most prestigious of these plants is Volkswagen Group's Bratislava facility, which makes the Audi Q7 and VW Touareg large SUVs, as well as the body-in-white for the Bentley Bentayga SUV. Kia has a large plant in Zilina to the east where it makes the compact Sportage crossover, and PSA Group turns out subcompacts at its large Trnava plant, halfway between Bratislava and JLR's Nitra site. Slovakia had another attraction as well: money. The country offered incentives of 125 million euros, the maximum allowable under EU rules. Those stakes proved too rich for Slovakia's biggest rival for the plant, Poland. “Slovakia was ready to pay much more than we could secure in our budget,” Poland's then deputy prime minister, Janusz Piechocinski, told Reuters in 2015. Poland was the last remaining European site contender as the decision went down to the wire in July 2015, Simoncic says. JLR says that Mexico was also in the race at the very end -- a key point for some in Europe who have questions about the Slovakia project. In May, the European Commission, the EU's legislative arm, opened an investigation into whether Slovakia may have broken EU rules by offering JLR more than the maximum allowable incentives. Specifically, it will consider whether Slovakia failed to include the transfer of land in the Nitra Strategic Park to JLR, and the plant's exemption from local fees to transfer agricultural land to industrial use. In its efforts to maintain European harmony and protect the competitiveness of existing industrial operations, the EU stipulates that state incentives must not be the primary reason companies chose one location within the EU over an equally deserving region. JLR is not worried about the legal question. It maintains that, in the end, Slovakia was down to competing against Mexico -- not Poland. In that case, a European plant location was already narrowed down to Slovakia, and the final incentive negotiations did not pit two EU member states against each other. The next issue for JLR was the suitability of the specific industrial park the Slovak government offered, which it envisioned developing into a much larger area. On an early visit, JLR site leaders concluded that the site had good highway access via two ramps. JLR would occupy the centerpiece on the roughly 444-acre site, with space to expand further in the future. An adjoining supplier park eventually will house 10 to 12 suppliers, and JLR already is in talks with six. Government officials additionally proposed such improvements as worker training assistance, increased local kindergarten and nursery services for workers' children, the expansion of police and fire services, and a civil engineering project to flood-proof the river Nitra. Another key issue to resolve: delivering skilled employees. Slovakia is a country of just 5.4 million people. Nitra is Slovakia's fourth-largest city, but its population is 85,000. JLR will need 2,800 workers when the plant reaches three shifts. Now that the project is underway, it has already received 40,000 job applications. But Wortberg acknowledges that not all of those interested workers will be suitable. The government hopes to help generate more potential employees by encouraging mobility within the country – encouraging citizens to move to the region. It has even targeted the Slovak diaspora overseas via advertising. Wortberg hopes the private construction market will take care of building housing for incomers. But he says JLR is ready to build dormitories on site if there is a shortage – something that has occurred in China in recent years. Even then, JLR is prepared to look harder for job candidates in the years ahead. "When we recruit for a second and a third shift, we will certainly have to expand the radius of our search for people,” Wortberg says. That might include casting the net outside Slovakia into neighboring countries, something that's made possible by the EU's freedom-of-movement rules.